So I looked at the weather forecast for next week and y’all- the high for Monday is 75. My fall-loving heart is jumping for joy right now! I’ve been struggling a lot lately with my everyday style because of how different my body is now that I’m pregnant. For the last few months, my wardrobe has consisted of quite a few less-than-stylish pieces. And that’s so not me. I’ve always taken pride in how I look and what I wear and this whole pregnancy thing has really thrown me for a loop. To get myself out of this style funk, I’ve been making a little fall wardrobe wishlist and I want to share it with y’all! 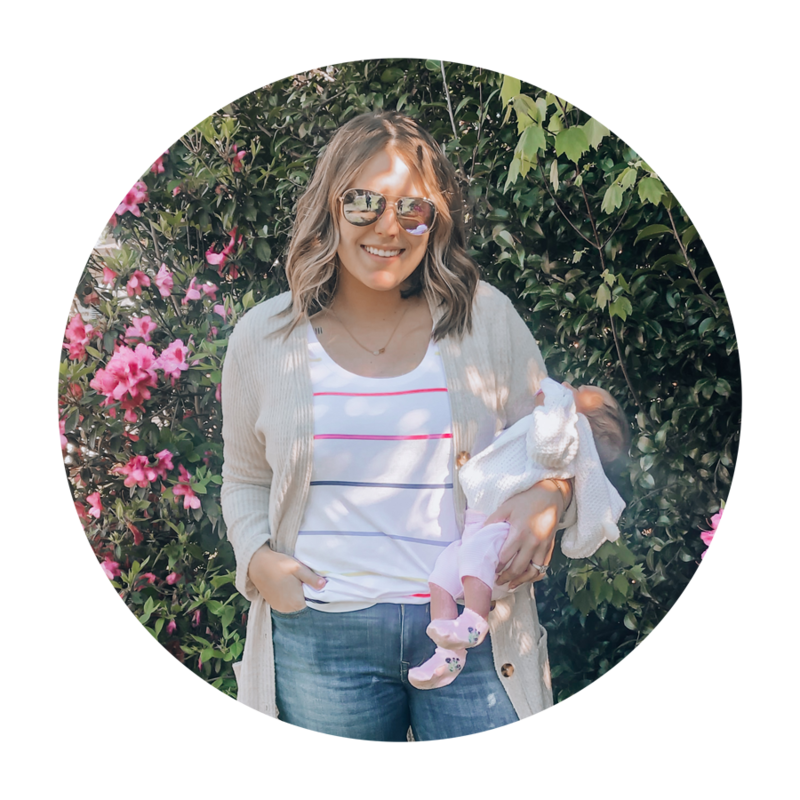 For this post, I’ll include pieces I already have than I plan on incorporating into my fall wardrobe along with must-have pieces that I plan on buying soon. I got this one from Target and I love it. I’m really loving the mauvy pink shades for fall this year! I’ve seen a lot of really cute ones- like this one from H&M! I got my first (& only!) pair of faux leather leggings last year and I’ve been obsessed with them since then. They can amp up any regular outfit and if you find the right pair, they’re really comfy and warm during fall/winter! The pair I have is so old I don’t think they sell them anymore, but I found really similar ones at Express and am planning on getting this maternity pair from boohoo! I have been on the HUNT for the perfect pair of leopard loafers or mules that won’t break the bank. And I think I’ve finally settled on this Sam Edelman pair. They’re still pretty pricey in my opinion, but I know I would definitely get my money’s worth out of them. Because leopard print goes with everything, right? If you haven’t seen all the hype over the ‘Joanna Gaines booties,’ then you’re missing out. TBH, I didn’t know about them until like two weeks ago but I knew I needed them for fall as soon as I saw them. The pair I have is from a local Facebook group (you can join here). So cute and so affordable! I also found a faux leather, non-stitched pair from Target that are also cute and affordable! These definitely are perfect for an effortless fall look. I’ve been debating whether or not I want to get one of these or not and I saw one in JCPenney the other day and decided I need it. An olive vest is so cute during fall and can be worn so many different ways. The one I saw at JCP is a little pricey but don’t worry, they usually go on sale during the weekend and they always have coupons! A similar style is also sold through that Facebook group I just mentioned for a VERY affordable price! I don’t think you can ever have too many white camis in your closet. They go with e v e r y t h i n g and are so flattering! I found this perfect maternity top from Asos and am definitely buying it this weekend! I also found this precious ruffle cami from Express that I also plan on buying this weekend. Both are less than $25, too so that’s definitely a plus! I’m a huge fan of flared denim, especially now that I’m pregnant. Don’t get me wrong, I love me some skinny jeans, but sometimes my legs need some room to breathe and flared jeans are great for that! I found this pair at Express and am definitely planning a try-on trip soon. I’m still wearing my pre-pregnancy jeans (with the help of belly bands- blog post coming soon on those!!) so I think I’ll be okay to get my normal size. I love Express jeans- they fit so well and they carry long sizes!! I am in desperate need for some new boots this season and this pair from Sole Society are a dream! They’re definitely a bit pricey, but a good pair of boots can last for years if you take care of them. I really love the color of these and the panel stitching is such a cute touch! I got my BLANKNYC suede jacket during the Nordstrom Sale last year and haven’t really gotten much use out of it, to be honest. I plan on changing that this year because mama spent a pretty penny on it and it needs to get worn :) I can’t find the exact style/color combo that I have, but this one is almost exactly the same cut/style, the color is just different. This one is the same cut/style, it’s just a couple of shades lighter than the one I have. The style/cut/color is all different on this one, but it’s still very similar and very cute! Now- I know that spending nearly $200 on a jacket is a bit ridiculous, but I wanted to give those options in case you wanted to splurge a bit. I did find two affordable options for y’all though- this one from Charlotte Russe is currently $25 and this one from Nasty Gal is currently $44. Sweaters like this are my absolute favorite during the cooler months. (Well, they’re my favorite year-round actually I just can’t wear them in 90+ degree weather) Funny story about this top- I talked myself out of buying it at the store because it wasn’t cool enough yet, then turned around and bought it online like two days later. I thought I ordered it in olive (which I was so excited about, btw! ), but when it arrived it was royal blue. My first thought was “ugh, they screwed up my order.” It was me. I screwed up my order. Pregnancy brain is real, y’all. ANYWAY… I’m ordering the olive (for real this time), striped and tan versions of this sweater because I love it that much. And it’s currently on sale for $16.49 when you use the code HURRY8! I know this was such a wordy post, but I really love fall and I’m so excited to start dressing for cooler weather! 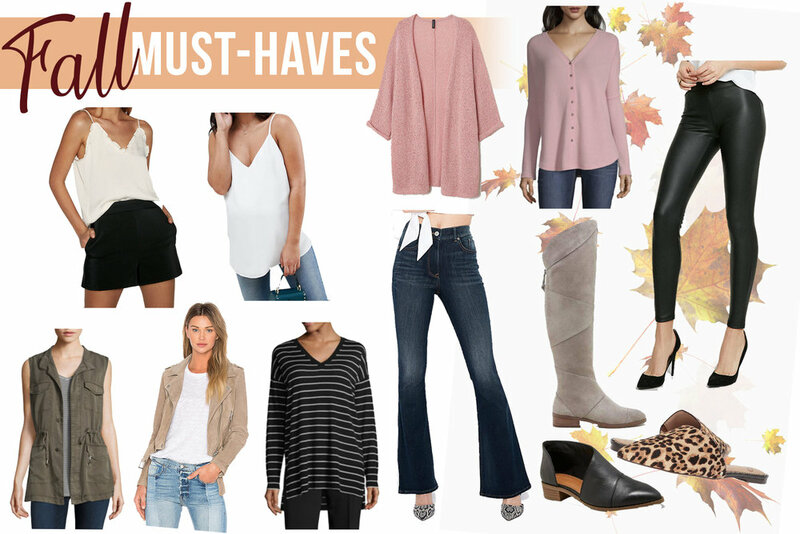 This definitely turned into a much more detailed post than I was originally planning, but the whole point of this blog is to share my favorite fashion finds so I hope I helped you find some pieces for fall, or at the very least, inspiration for your fall wardrobe!